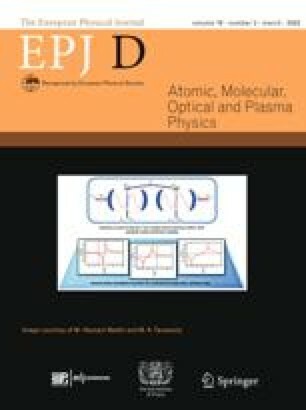 We report on the experimental determination of absolute, total cross sections for electron-impact double ionization of helium in its metastable 1s2s3S state and of the helium negative ion He−(1s2s2p4P). Cross sections are measured for impact energies ranging from threshold to 1000 eV using the animated crossed beams technique. The fast, pure beam of metastable helium required for the experiment is produced by photodetachment of fast He− ions. Results for He(1s2s3S) are compared to those for He(1s21S), and exhibit similar magnitude and behaviour. 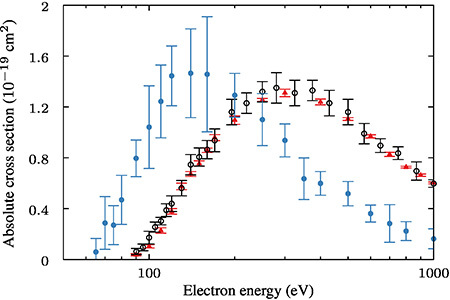 The cross section for He− is large compared to other negative ions and indicates the predominance of indirect ionization channels at large impact energies.